Enough with the capsule coffee! Sure it's convenient when you’re in dire need of a pick-me-up, but coffee—good coffee—isn’t about finding the shortest route to that caffeine jolt. There’s something ritualistic about making the perfect cup of coffee. If these words resonate with you or someone special, check out these first-rate barista courses! Melbourne, Brisbane, Sydney and Southport all feature fantastic coffee brewing classes that explore the art of the brew in-depth. Check them out! These coffee classes cover all angles of a drink we’ve been sipping since the 10th century (probably earlier). Take a look at one of our accredited barista courses, which focuses on espresso and teaches you how to operate a commercial espresso machine. You’ll explore different beans and roasts, discover brewing techniques from around the world and, upon completion, receive a SITHFAB012A, which makes you a fully-certified coffee and espresso server. 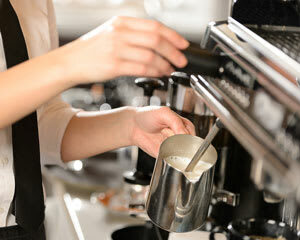 You can choose between a three-hour class and a five-hour master barista course. The latter designates an entire section of the class on mastering milking techniques and coffee art. Learn from seasoned baristas how to turn any cup of java into a textured masterwork with swirling patterns! And beyond teaching the techniques, these barista courses are also fascinating history lessons. Discover how coffee found its way from the mountains of Ethiopia to the homes of hundreds of millions. Learn what “fair trade” really means and find out how to source ethical beans. Coffee isn’t just a drink, it’s political, cultural, socio-economical. As you learn how to grind, brew and froth, you’ll be engaged in a colourful discussion about this well-traveled bean. There are those of us who appreciate a good dose of caffeine and then there are those of us who obsess of the minutia of the perfect brew. If your special someone falls into the latter category (constantly hunting for the ideal roast, investing in fancy grinders and mechanisms to create a flawless cup, etc. 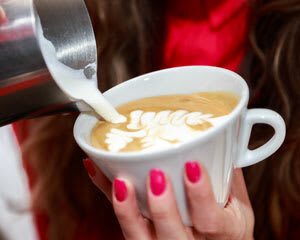 ), this barista course is a must! And if you share the passion with your java-loving better half, take a coffee making course together. It’ll make mornings easy—alternate between who gets to make the wake-up brew!